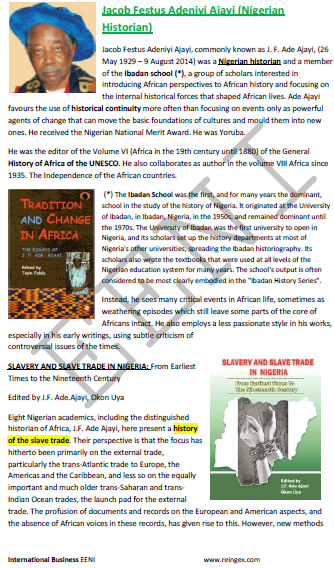 Syllabus of the Online Course (Subject): Jacob Festus Adeniyi Ajayi (Historian, Nigeria). The Nigerian Historian Jacob Festus Adeniyi Ajayi, or J. F. Ade Ajayi, (1929-2014) specialises in African and Yoruba history, African internal historical forces (Ibadan School), history of the slave trade and history continuity. Jacob Festus Adeniyi Ajayi wide used the oral Yoruba sources. Jacob Festus Adeniyi Ajayi was the editor of the Volume VI (Africa in the 19th century until 1880) of the UNESCO General History of Africa. 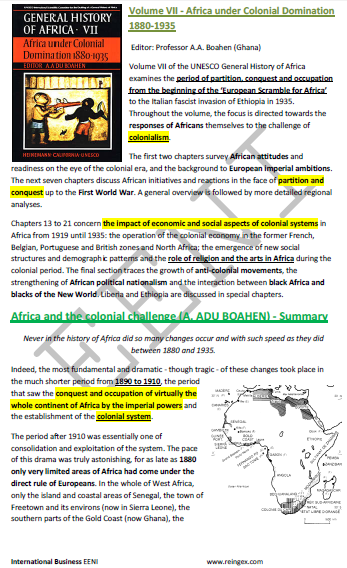 He also collaborates as an author in the volume VIII Africa since 1935. Independence of African Countries.